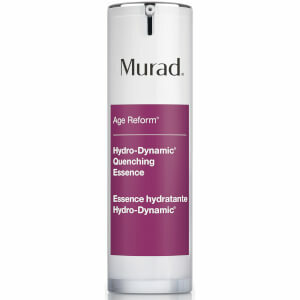 Restore and condition skin with the Essential-C Day Moisture SPF 30 from Murad. Formulated with broad spectrum sun protection, the lightweight moisturizer shields skin from harmful UVA and UVB rays, whilst promoting a brighter, smoother and younger-looking complexion. Imparting a refreshing citrus fragrance to rejuvenate the skin and senses, the quick-absorbing face cream delivers powerful antioxidant properties to target signs of aging, including fine lines, wrinkles and dark spots. A dose of Vitamin C encourages a radiant, refined complexion. Apply liberally to face, neck and chest. Avoid contact with eyes. Active Ingredients: Avobenzone (3.00%), Homosalate (6.50%), Octinoxate (7.50%), Octisalate (5.00%), Oxybenzone (2.00%). Other Ingredients: Water (Aqua), Ethylhexyl Methoxycinnamate, Homosalate, Ethylhexyl Salicylate, Butyl Methoxydibenzoylmethane, Butylene Glycol, Stearic Acid, Benzophenone-3, Diisopropyl Sebacate, Cocoglycerides, Lauryl Lactate, Glyceryl Stearate, PEG-100 Stearate, Isodecyl Neopentanoate, Dimethicone, Cetyl Alcohol, Cetyl Phosphate, Urea, Yeast Amino Acids, Trehalose, Inositol, Taurine, Betaine, Phospholipids, Retinyl Palmitate, Tocopheryl Acetate, Ascorbyl Palmitate, Pelvetia Canaliculta Extract, Ectoin, Ginkgo Biloba Leaf Extract, VitisVinifera (Grape) Seed Extract, Passiflora Incarnata Extract, Tetrahexyldecyl Ascorbate, Sodium PCA, Panthenol, Tripleurospermum Maritimum Extract, Zinc Gluconate, EthylLinoleate, Magnesium Aluminum Silicate, Xanthan Gum, Aminomethyl Propanol, Disodium EDTA, Phenoxyethanol, Caprylyl Glycol, Chlorphenesin, Limonene, Linalool, Fragrance(Parfum), Yellow 6 (CI 15985), Red 33 (CI 17200).